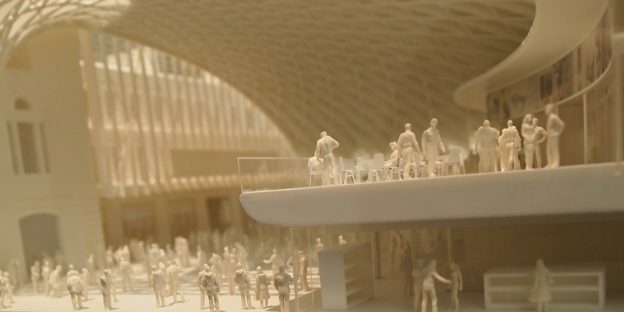 An architectural model of King’s Cross station in the Destination Stations exhibition. The exhibition told the story of the British railway station as it evolved from humble beginnings to the most recent of contemporary stations. The research explored how visitors had responded to the exhibition space, what they perceived themselves to have learnt, and the connections they had made to specific themes. It also investigated their perceptions of the most contemporary displays within the exhibition and their appetite for future temporary exhibitions at NRM.